J&B welcomes Ryan Paradise as a truck foreman after working with J&B Steel for three years. Ryan’s family lives in Aurora, Indiana. Married to Destiny and enjoying being the father of two beautiful children son Hutch and daughter Pepper. Ryan also spends time hunting, fishing, four wheeling, and hang out with family and friends. Ryan states "The best thing about working with J&B is that everybody works together and has a good time and fun at work. I have run a lot of neat projects and have become friends with the clients and workers." Ryan claims the most interesting project he has managed is the MiltonMadisonBridgeproject because the Milton-Madison Bridge Project was a unique effort to replace the deteriorating US 421 Ohio River Bridge between Milton, Ky., and Madison, Ind.“The bridge has stayed open to traffic through out construction.” Through the use of innovative design and construction methods, the bridge remains open during construction, with the exception of a few days. 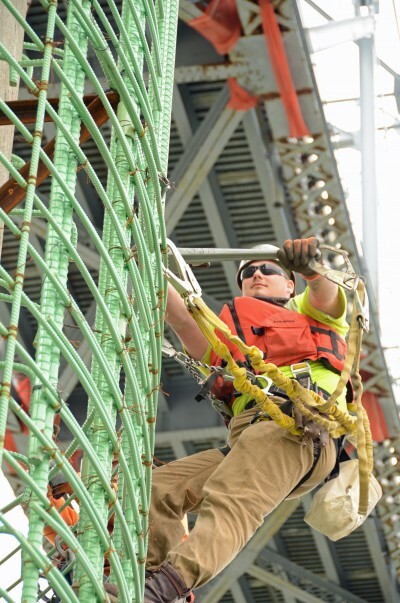 Using a method called “truss sliding,” a new 2,427-foot-long truss bridge will “slide” into place atop the existing piers, which are being strengthened and reused. The new bridge will open to traffic in 2013. Ryan has been a Union Ironworker out of Local 372 for six years. 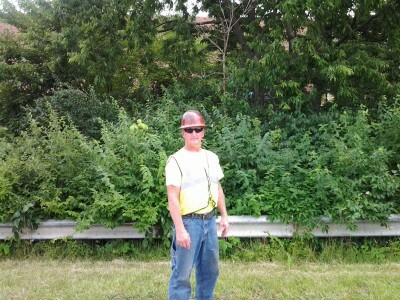 Dave likes the team atmosphere of J&B Steel and has participated on the J&B Steel team for over 10 years. The most challenging project, Dave responds he has ever preformed on, is ODOT 3000 (11) The Ohio I 71 670 Interchange, due to the aggressive pour schedule. Along with being a father of three wonderful children Trey, Tarynn and Tyler, Dave spends his spare time engaging his skills as a licensed State of Ohio High School Basketball Official. Dave has been a Local 172 union ironworker for 17 years.